There’s just one thing I can’t resist not correcting. It says on my interview that my mom wears wedges and mini skirts. OH EM! She USED TO wear them back when she was a teenager. She’s already turning 56 this year (although people always mistake her to be in her late 30s) so I don’t want people to think my mom is feeling young (bagets lang) haha! And if she does wear miniskirts, I will never let her out of the house! NEVERRRRRRRRRRRRRRRRR. 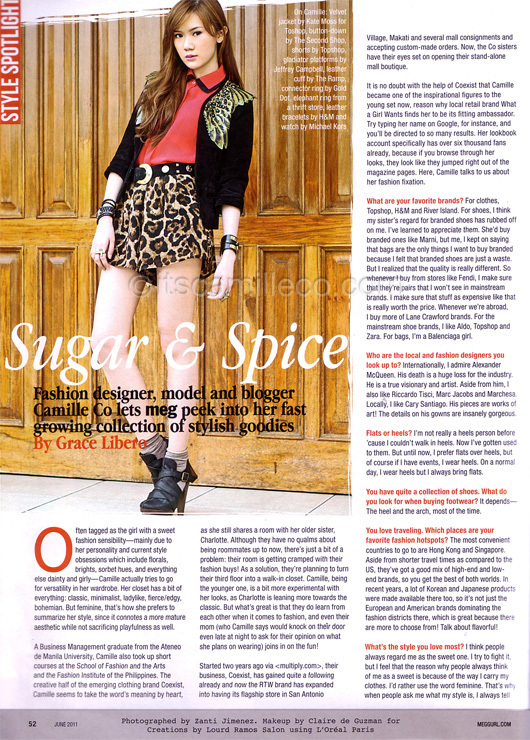 Special thanks to Grace and Zanti for the feature. I bet that is just .5% of your whole closet! haha!